Intova continues its tradition of creating innovative products for every adventure with the addition of two new marine grade action cameras. 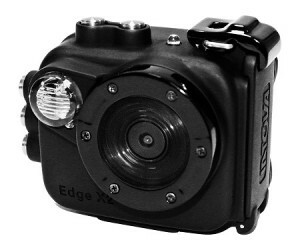 The X2 and HD2 both offer high quality video and photo capabilities in a rugged and compact package. These cameras are the first in their class to offer a built-in 150 lumen LED light that can be used as a flash for still photos, or a constant light source for video. The new Intova X2 and HD2 will be on display at Summer Outdoor Retailer in Salt Lake City at the Industrial Revolution booth #40. Born in Honolulu, Hawaii in 1995, Intova looks to the scenic landscapes around them for inspiration. Their mission is to deliver camera products and accessories that offer high value and unique feature sets. Intova’s pursuit of innovation has led to many industry firsts and has allowed the product line to expand to include digital cameras, HD video cameras, and waterproof electronics. Find us at www.intova.com.